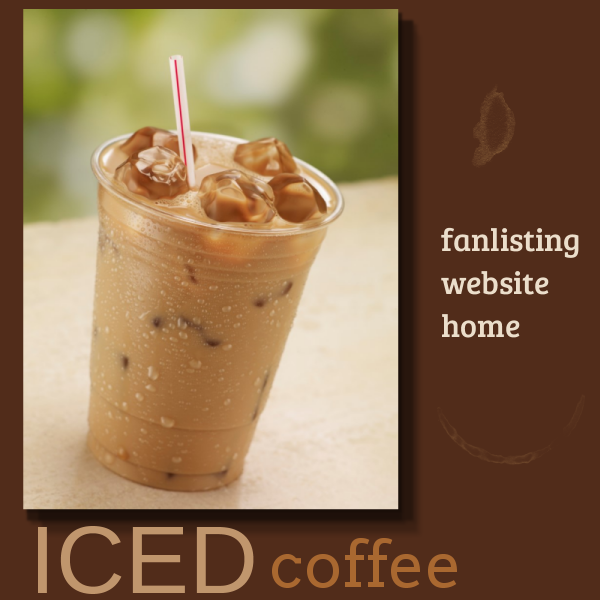 You've come upon The Best Option, the Listed Fanlisting for Coffee: Iced. This is my favorite way to enjoy coffee. Are you an Iced Coffee fan too? Then be sure to join! This fanlisting is owned by yours truly, Jennifer. This site is all fan based. I don't own any images used in the making of this site. If you have any concerns, feel free to write me.